YOU THINK BIG ~ I'LL HELP YOU GET THERE! Get Discovered. 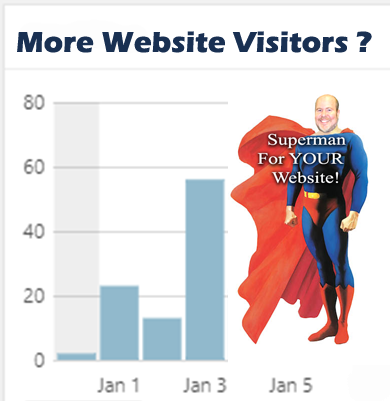 Get More Eyeballs & More Site Traffic. Get More Leads and More Prospects From YOUR Website or Social Media Pages To Build Brand. Improve Your Image. Update Your Identity. Craft A Better Value Proposition. Do The SEO. Use Local or Global Search Marketing Service To Capture & Convert Visitors To Leads, Nurture Leads To Customers. Call Today! Deal Directly With Experienced Small Business Owner. No Salesmen. No Pressure. Just Measurable Results & More Sales. Call Now To Request Free Consult! 419.764.9649. #1 Rank Organic SEO Toledo With 4 Sites Owning Top 7 Places on Page One Search Results!